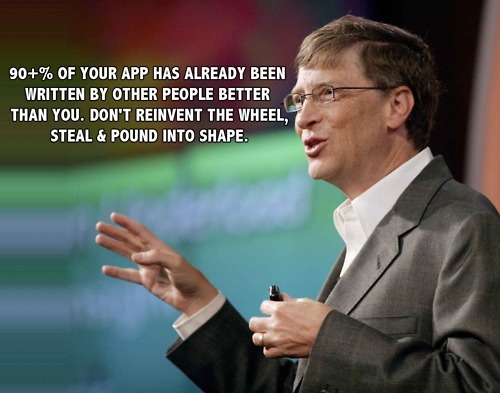 Assessment after levels: Don’t reinvent the wheel, just steal the hubcaps! TWO days to go till I present on the topic of ‘Assessment after levels’ at ‘SPARK presents Dubai Lead Meet’, the first SLT focused Teach Meet in the Middle East, made even more exciting as we are being joined by @kevbartle and @hgaldinoshea! Thought it might be a good idea to supplement my presentation with a blog post as to where I’d got to in my thinking with this so far, as I have ZERO hope of beating the 7 min Teach Meet Timer with this one! At DESC departments have been busy ‘having a go’ at creating and trialling potential new assessment models. Within my curriculum area, History, myself and two colleagues have carried out some lesson study, investigating new ways of assessing our students as an alternative to using National Curriculum levels. Our research question: What impact does using success criteria based on a SOLO Taxonomy framework; have on supporting student progress and attainment in History at KS3? 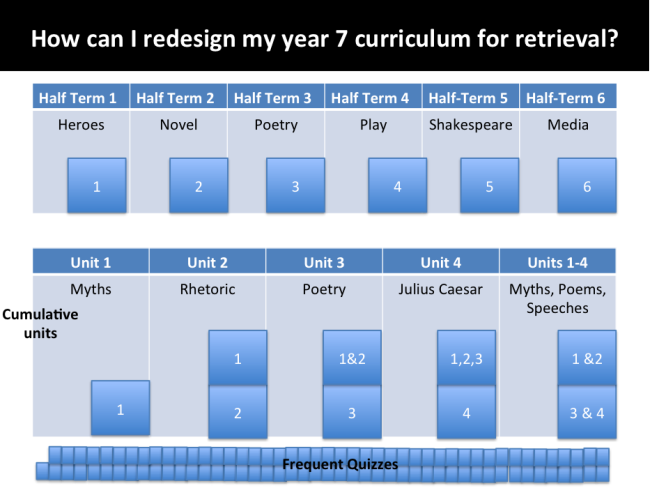 This combined with some extensive reading and research around the subject (you can find my reading list in this post Assessment after levels-In search of the holy grail… ) has helped crystallise my views on the exciting yet daunting journey that schools have faced since the abandonment of levels in 2013. Curriculum precedes assessment as does knowledge precede skill. My thinking on curriculum has been heavily influenced by the work of the cognitive scientists, in particular Dan Willingham and also Peter Brown at al through the book ‘Make it stick’. There has been some real breakthroughs in recent years in our understanding of the brain and how we learn, work such as this illustrates why teaching should be research informed. Those of us on Twitter who read books and blogs can regularly forget the fact that most teachers do not read about education as a professional pursuit. Research from the cognitive scientists has shown that the practice of interleaving and space retrieval of topics supports memory retention in the longer term. The revisiting of previously taught content at various points throughout the academic year creates neural pathways and means that information is retrieved from the students’ long term memory on a more regular basis. This emphasises the pathway’s importance and makes it easier to locate the next time a student needs to access it. Therefore traditional curriculums (such as this below) based on blocking of topics may not be best for student learning. Interleaving practice and spaced retrieval of topics allows for greater memory retention in the longer term. Initial thresholds for each of the six organising concepts were then agreed from the simplest “Working towards” to “Exceptional” in order to establish the depth of knowledge and skills for each organising concept. See more on this in Dan Brinton’s post ‘The spy who loved us-part 1’ . 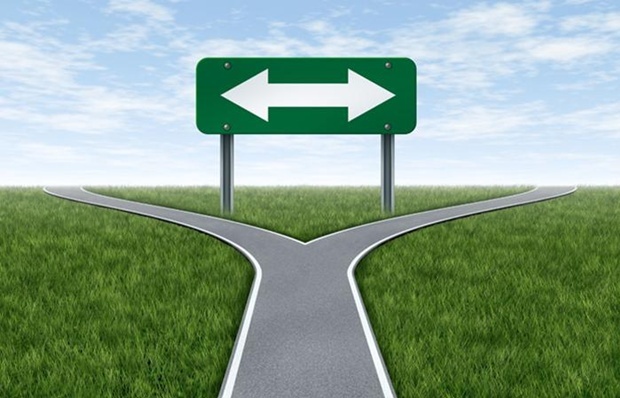 Fordham suggests scale switching within a topic and also across the whole curriculum would give students the opportunity to retrieve knowledge previously taught. ‘This means that pupils would, for example, need to answer questions in Year 8 that asked them to retrieve knowledge from Year 7, and in Year 9 from Years 7 and 8. Here are some questions that might do that. How did the power of Parliament change between 1300 and 1600/1800/2000? How has the nature of conflict changed since the middle ages? How has the purpose of the Tower of London changed since 1100? How did Shakespeare interpret late medieval England? Why were the Victorians so interested in medieval chivalry? I have written twice on ‘Make it Stick’ which you can find here and here. Recently I stumbled across the blog of Swindon Academy and almost whooped when I saw the mastery curriculum they implemented with their Year 7 cohort in September 2014. 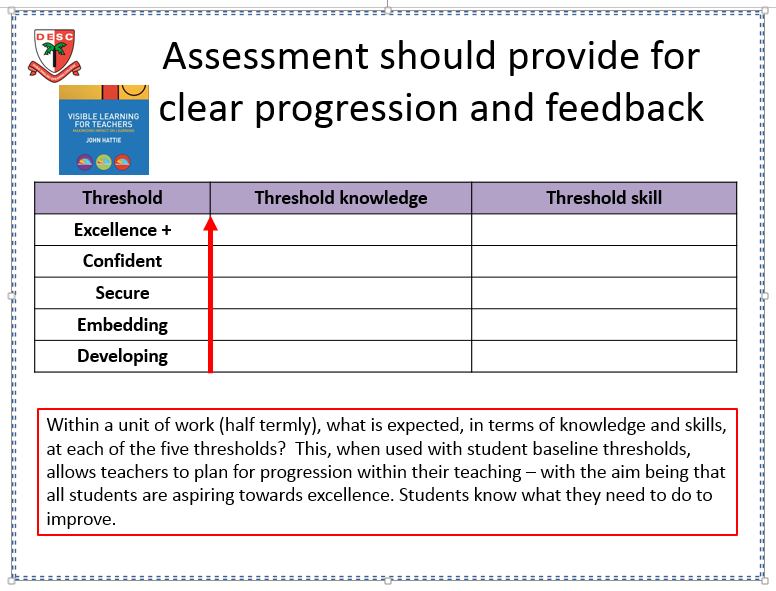 Swindon have designed a curriculum that prepares students for a linear assessment model, based on terminal examination at the end of Key Stage 4. In order to achieve this, they looked for a curriculum model which would ensure students learnt and retained the factual and procedural knowledge required to be successful. Taking their inspiration from the mastery maths model which Bruno Reddy has implemented at King Solomon Academy, as well as a number of excellent academic papers and blog posts on curriculum design and cognitive science. Using evidence to inform my own practice, has helped develop a critical mindset and consequently challenged many of my own beliefs about teaching and learning, I was wrong to consider the teaching of facts as unimportant or less important than skills. Indeed the emphasis on building up children’s factual knowledge is underpinned by the latest research in cognitive science and supported by a good deal of empirical evidence. Equally I was wrong on regarding the debate as a false dichotomy, “The truth is that skills are based entirely on knowledge; they are the appropriate demonstration of knowledge. There is no false dichotomy here. There is no “skills or knowledge”. Skills are knowledge in context.” Tom Bennett. 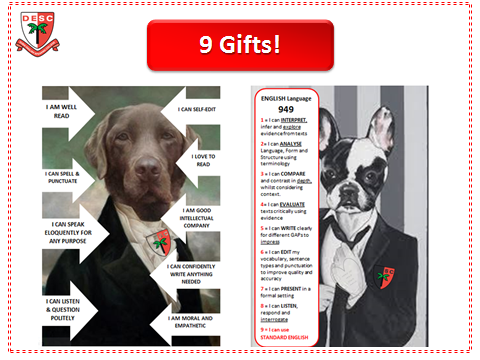 Love our English Dept’s idea, the HOD came up with 949, what 9 gifts would we like to give our students at DESC in English by the time they leave us. From this the gifts were then related to the new GCSE success criteria and the thresholds of ‘limited, simple, clear, detailed and perceptive’. 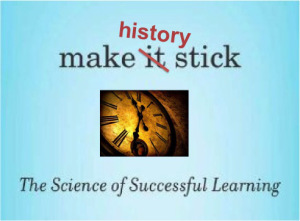 Within History we also thought about what assessment should be about? the answer..learning, to help support our students getting better at History. 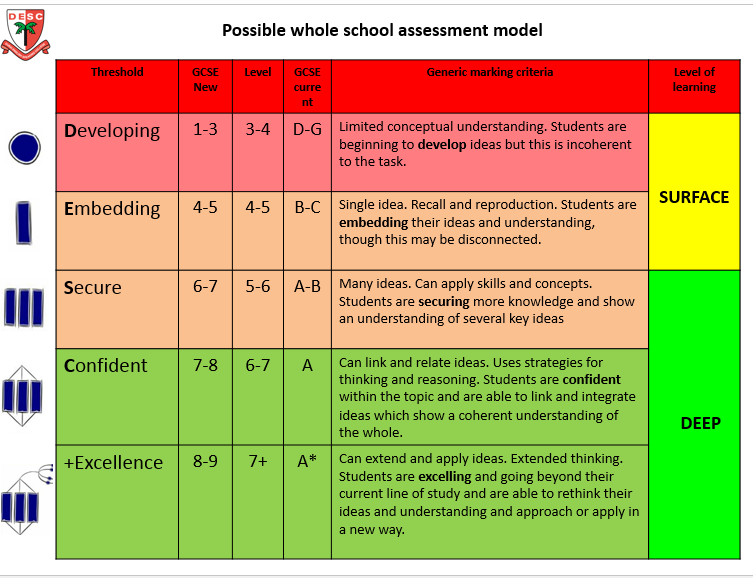 We also had a think about our ‘big ideas’ or gifts and wanted to create a model that was based on developing the knowledge and skills students needed for success at KS4, was easy to understand and was formative for students and their teachers in ensuring progression through a set of thresholds. In the interests of not reinventing wheels and exploring every possible option, we conducted a fair amount of research, looking into best practice in the UK. The schools most in line with my own thinking on this issue are Durrington High School (who won funding from the DfE, assessment innovation fund, to design a model they would share with other schools) their model explored in this post ‘Assessment without levels’, Canons High school ‘Moving away from NC levels using SOLO Taxonomy’ and also Belmont community school ‘Assessing without levels’ . A big thanks to these schools for providing some of the inspiration behind what follows. From the research our History lesson study pilot began to develop. In our initial meeting we discussed the benefits and our previous experiences of using SOLO Taxonomy with students. SOLO (Structure of Observed Learning Outcomes) developed by Biggs and Collis (1982) provides a structured framework for students to use to progress their thinking from surface to deep learning, from pre structural to extended abstract or from little understanding to reflection and theorisation. Having experimented with SOLO in the past, I’m convinced it has real value in making teaching and learning visible, when it is clear what teachers are teaching and what students are learning, student attainment increases. As historians we want our students to develop a critical and skilful use of evidence as one of the ‘big ideas’. Therefore we decided to trial a short lesson study using SOLO Taxonomy as a framework to support students in their understanding of making inferences and judging evidence for reliability alongside the contextual knowledge needed to analyse primary sources relating to James Stuart and the conspiracy surrounding the Gunpowder Plot . The success criteria for ‘excellence’ would be used with the students throughout the process. Further to provide formative feedback for students to support them in achieving this. 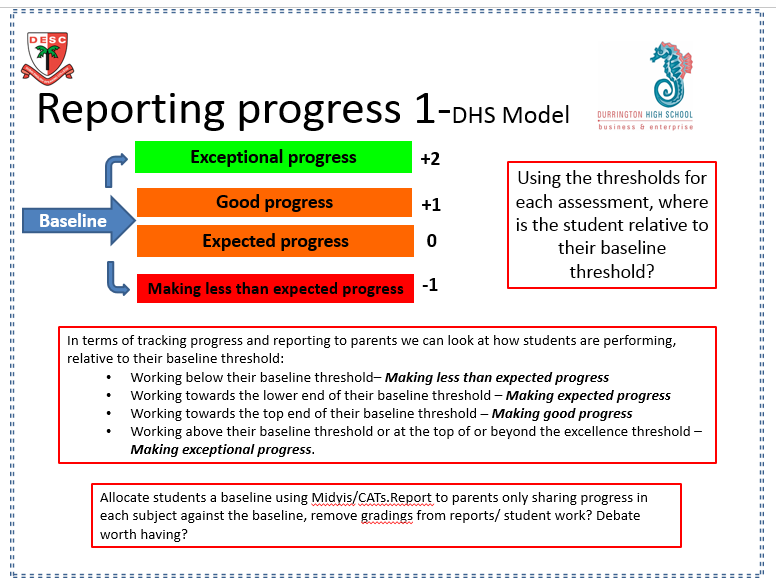 Initially we designed a potential pilot ‘whole school’ assessment model based on SOLO and using the thresholds of Bronze, silver, gold and platinum. 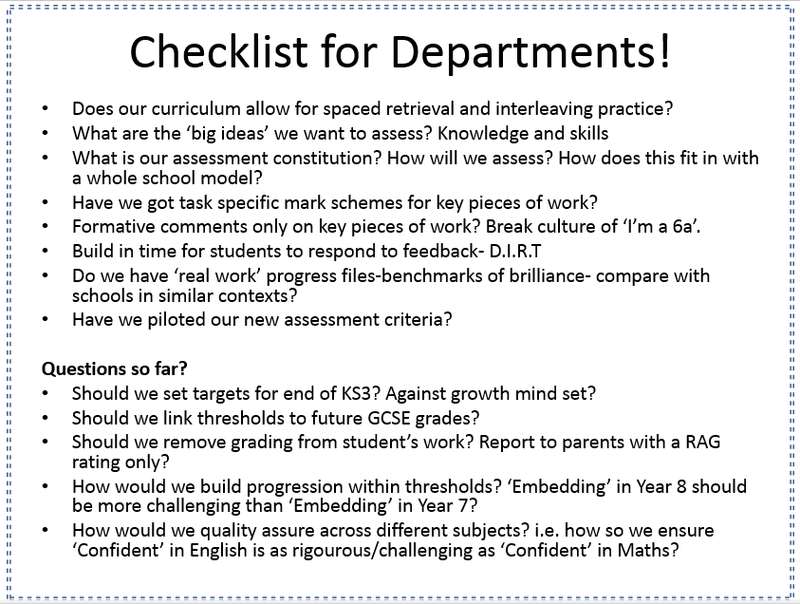 Other potential thresholds we discussed were ‘Developing’, ‘Embedding’, ‘Secure’, ‘Confident’ and ‘+Excellence’ (DESC+), a bit of ‘DESCification’, relating to our school’s initials for the personal touch!. The ‘+’ threshold is included to ensure the bar is kept high in line with the philosophy of high expectations and high challenge for all. In addition we also considered using the numbers relating to the new GCSE criteria. Taking the whole school model assessment model above, we adapted this to plan an individual small unit of work with success criteria and carry out some small scale action research within History (3/4week project). 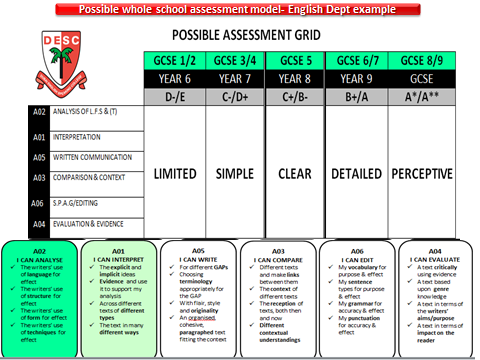 In keeping with the KS3 curriculum modelling the KS4 assessment criteria, the success criteria, based on the SOLO framework, for each of the 4 lessons remained the same. Further the plan was that the success criteria would be revisited at other points during the academic year, to keep in line with the concept of spaced retrieval. Precise diagnostic feedback would be given to support student’s progress. The research involved three Year 8 classes, 8Y the test group received the intervention, were taught to use SOLO and worked with the success criteria for the entire process. 8Z, control group 1 were taught the same content but received no intervention. 8X control group 2 were taught the same content and used success criteria relating to NC levels. All 3 classes completed a baseline assessment at the start of the process and another at the end. Analysis of the results came from the assessment data and progress of the test group v control groups according to starting points, student interviews and the qualitative summary of lesson observation data. Formative assessment and effective feedback, written and oral, ensures students know what they have done well and what they need to do to improve. I’m conscious of the need to ensure the testing of knowledge is also at the forefront of any assessment model. Broader contextual knowledge is vital to student’s understanding of a historical period and testing this a useful diagnostic tool. I like Michael Fordham’s suggestion of an Assessment constitution that includes: frequent, low-stakes, testing of chronological knowledge, regular quizzes, timeline tests and so on. Importantly, these tests should not just cover what was done in the previous lesson or week, but should test pieces of information learnt throughout schooling. Milestone pieces of work at the end of a sequence of lessons. These should be marked using task-specific mark schemes. The piece can be given a summative mark for teachers needing to input data but it should be understood that a mark in this task is not connected to a mark in the previous half-term or next half-term. The marking can also be norm-referenced (i.e. how does a pupil’s work compare to others in this year and previous years). Formative comments shared with students. End of year exams. Explore links with other History Depts locally. Like for like comparisons of real work is the most useful way to compare standards. If we want to see how much progress students have made, we should look at their work and the questions they can answer and compare that over time. In addition compare our ‘benchmark of brilliance’ with those from schools with similar contexts. What do your highest attaining Y9s do in History? How does it compare to what we do? For me the focus of assessment should be on helping students to know exactly what to do to get better at the subjects I teach. As teachers we will be required to make judgements about attainment and progress at key points and record this on our systems. This should be used internally and as a planning tool. Similar to the schools below I would advocate removing gradings from student’s work altogether, and indeed reports home. 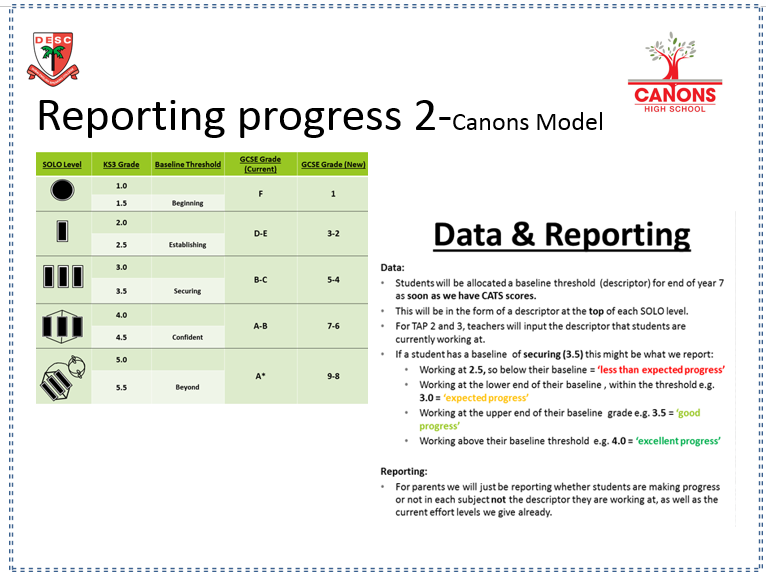 Parents could instead be given a RAG rating as to the progress their child is making in each subject or in terms of descriptive profiles, alongside the usual attitude to learning grades.